•	TV's are smart TV's only with no cable or broadcast channels. 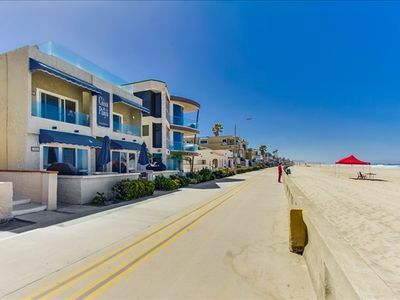 Fantastic location, right on Ocean Front Walk! 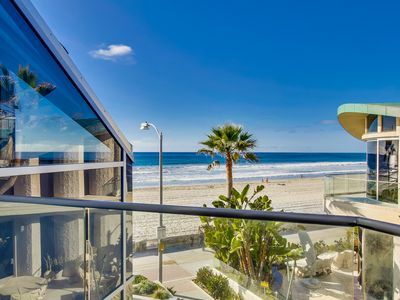 This spacious beach front vacation rental features top-of-the-line amenities with floor-to-ceiling windows that frame panoramic beach and ocean views from La Jolla to Point Loma. 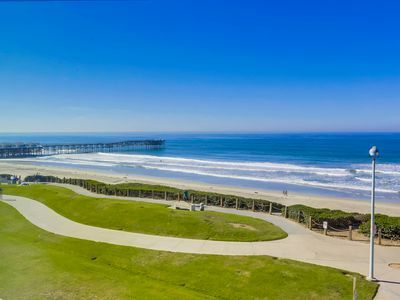 Located on the ocean in San Diego’s famous Mission Beach, guests of this home will be rewarded with spectacular sunsets each evening as the sun slips into the Pacific Ocean. 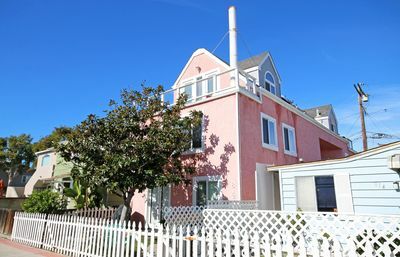 Accessed by the stairs, this penthouse home is located on the 3rd floor, and features a single level floor plan. 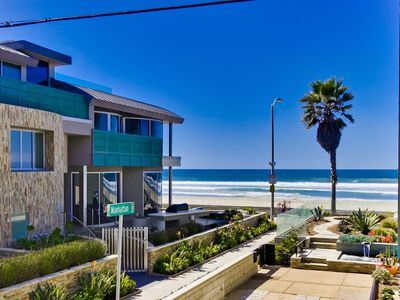 The home is modern and bright, and comes with multiple balconies, where you can watch the surf break along the shoreline, along with surfers, swimmers and dolphins! The home boasts a modern, open floor plan, European stone flooring and views from nearly every room. The kitchen comes equipped with custom hardwood cabinetry, Sub Zero and Miele stainless steel appliances, custom stone countertops and a glass atrium with whitewater views. 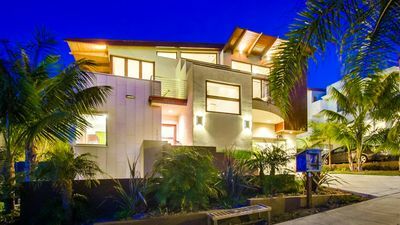 The kitchen opens up to the living / dining area featuring flat screen HDTV, gas fireplace, floor to ceiling windows and leads to an ocean front view deck. 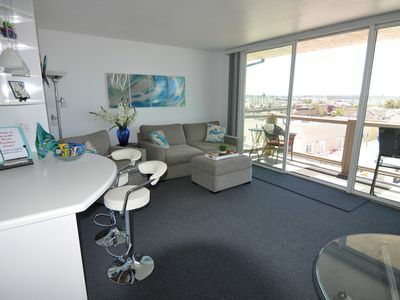 The Master Suite overlooks the beach and ocean, and features private access to a balcony. The master bath has a private spa-type bath with separate shower, dual vanities and a jetted tub. 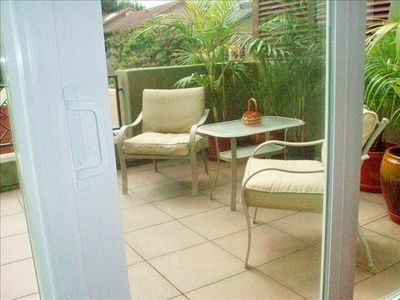 The 2nd and third bedrooms both have queen beds and en-suite baths, one which has an ocean view balcony. The 4th bedroom has a double/twin bunk bed with an ocean view balcony. 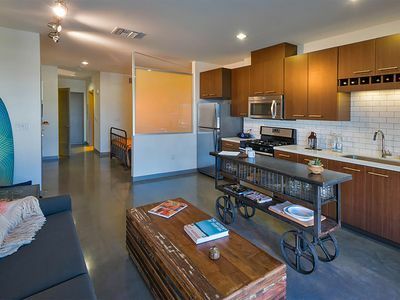 Each bedroom comes with a flat screen HDTV and plenty of closet space. 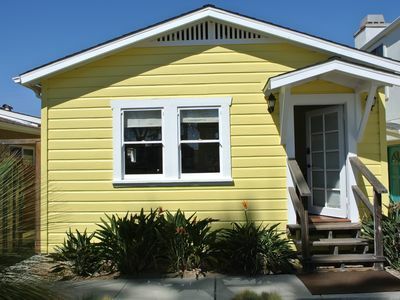 The home also comes equipped with an in home washer and dryer and an enclosed 2 car garage. See garage measurements. We invite you to stay in this very special home. This is where memories will be made that last a lifetime! 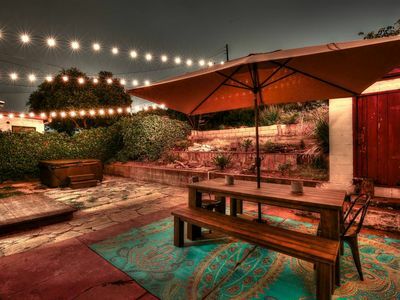 PLEASE MESSAGE US IN ADVANCE TO MAKE SURE THIS HOME IS APPROPRIATE FOR YOUR GROUP. Please note: No pets and no smoking allowed. 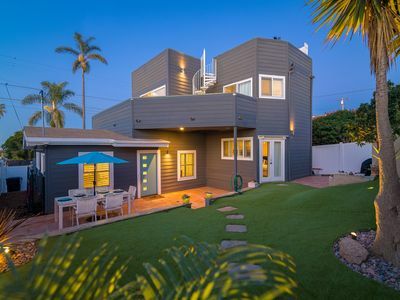 This home is located in a high-density neighborhood and is only suitable for quieter groups. Our rental agreement includes a no tolerance policy regarding excessive noise, occupancy and/or parties. Deposit forfeitures and/or evictions are strictly enforced. Please make sure you are comfortable with these policies before renting with Bluewater. Please see “NOTES” section for additional information. 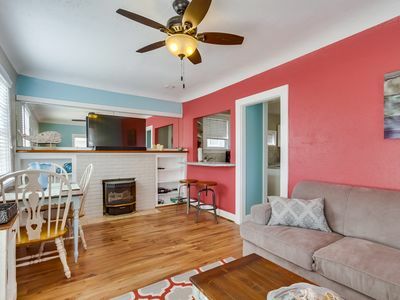 This home encompasses the entire 3rd floor of the building. 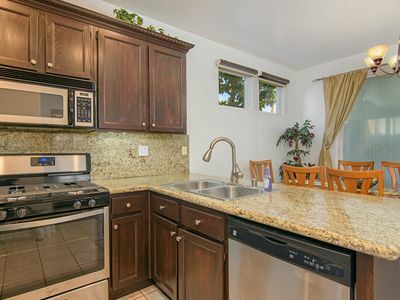 Open floor plan: Living room, Dining area seats up to 6, outdoor deck seats up to 4 more, open kitchen with balcony. Garage Door Dimensions: 188" wide x 76" tall. 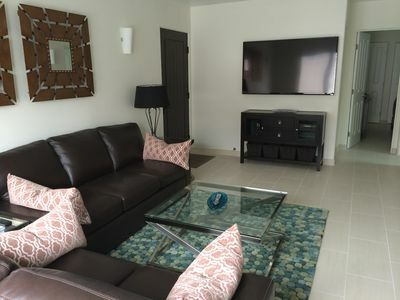 All rates and amenities are subject to change until rental agreements are approved by management. 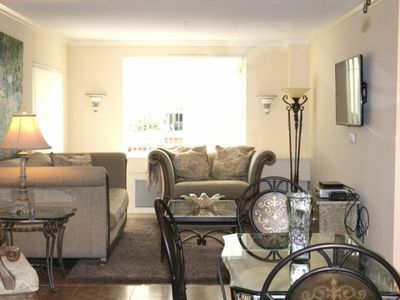 Any bookings less than 7 nights are subject to rate surcharges. Certain affiliate properties may require direct booking with the owner. Please see our terms and conditions and contact a reservation agent for more details. 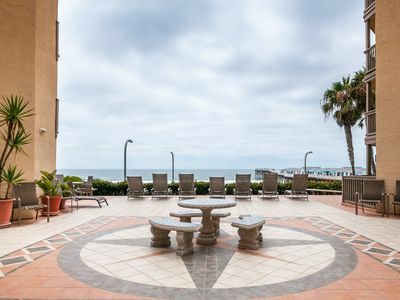 Breezy Balconies With Ocean Views! 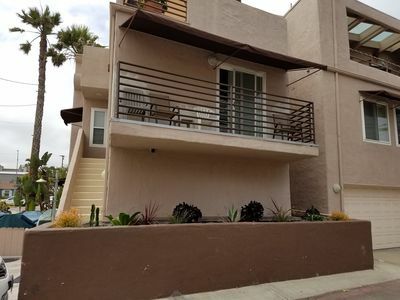 Kid friendly Beautiful Home in the heart of San Diego! 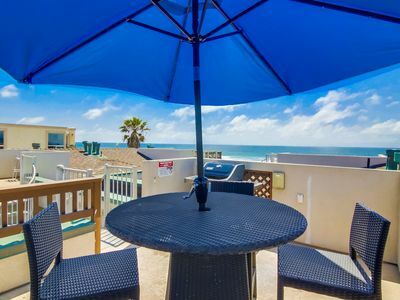 MoonRaker Manor™ - Ocean View Rooftop Deck & Spa! 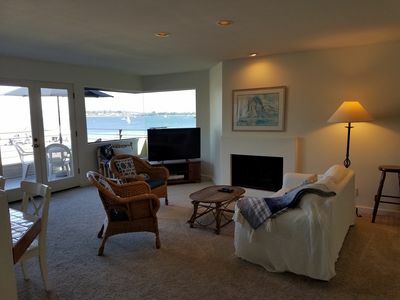 Two bedroom two bath right on the bay!